With great joy and pride I can finally announce the public opening of my company’s first major Second Life project: the MMC island. 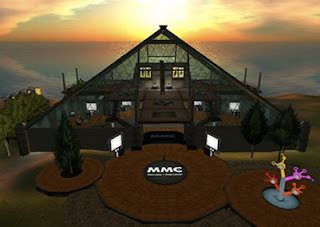 MMC island is an extension of Multimedia center, the new media department of Slovenian public broadcaster (RTV Slovenija). The main purpose of the island is to provide users with the ability to organize their own events on group owned and managed land. You can read more about the project in our press release. I’ll try to blog more info about the island in the coming weeks (after I get some sleep :) ), so stay tuned!